These Goat Cheese Stuffed Figs are the simplest thing ever. It is such a beautiful hors d’oeuvre, and it tastes as good as it looks. 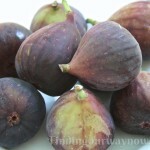 I love it; figs are in season and boy are they ever good. When they’re in season, I buy a bunch to make my fig jam. 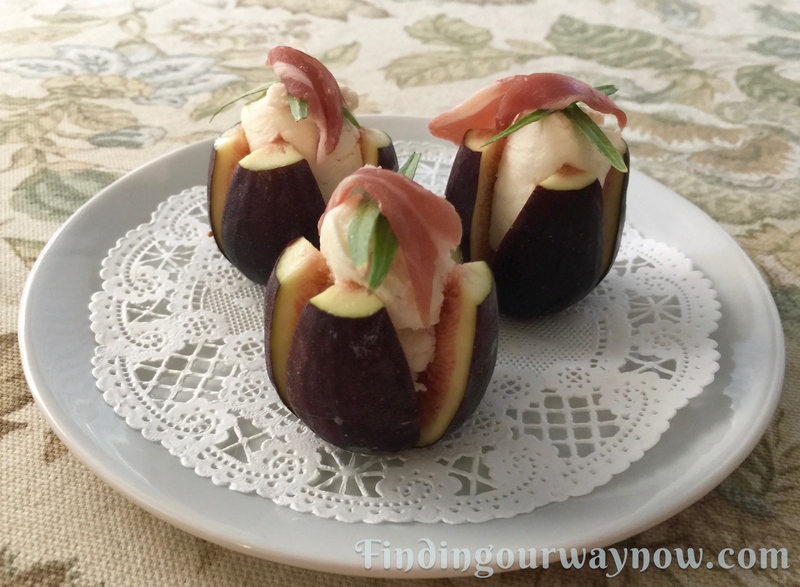 Aside from that, there are so many things that figs are used for or can be added to such as salads and hors d’oeuvres like the one I’m sharing below. Bring the goat cheese to room temperature. Gently rinse and dry the figs. Remove the top stem and cut each fig into quarters, leaving the bottom connected. Then pipe ½ ounce of honey goat cheese into each opening. If your goat cheese is in a sealed plastic log, snip a corner (or put the cheese into a Ziploc bag and snip off the corner) to pipe the goat cheese into the center of the cut figs. Press the sides of the fig into the cheese. 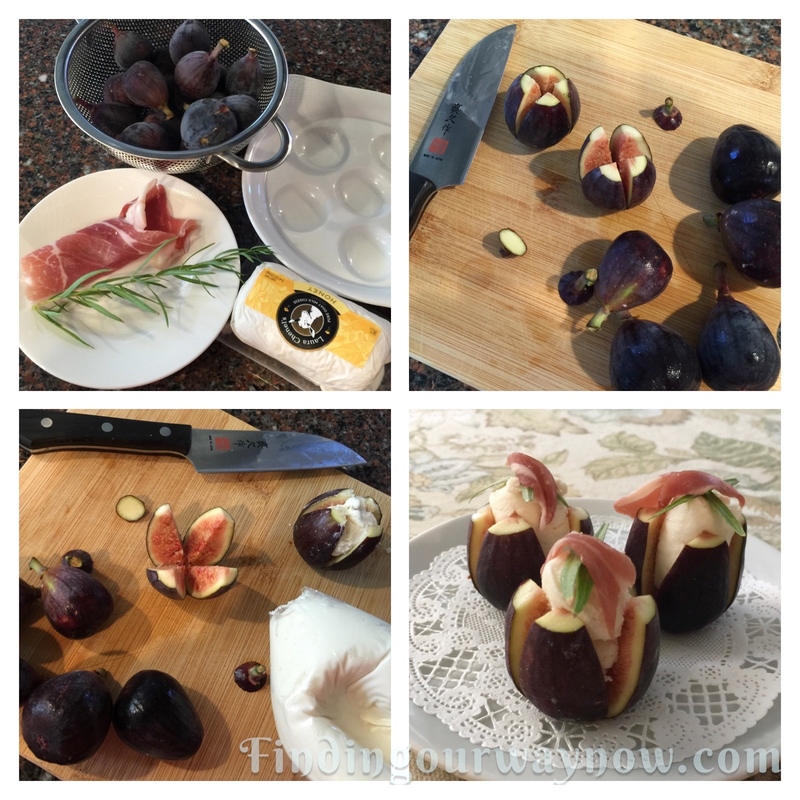 Finish off each fig with two leaves from the tarragon sprig and top with a small strip of prosciutto. Place on a pretty serving plate and serve immediately or cover and refrigerate until you’re ready to serve. 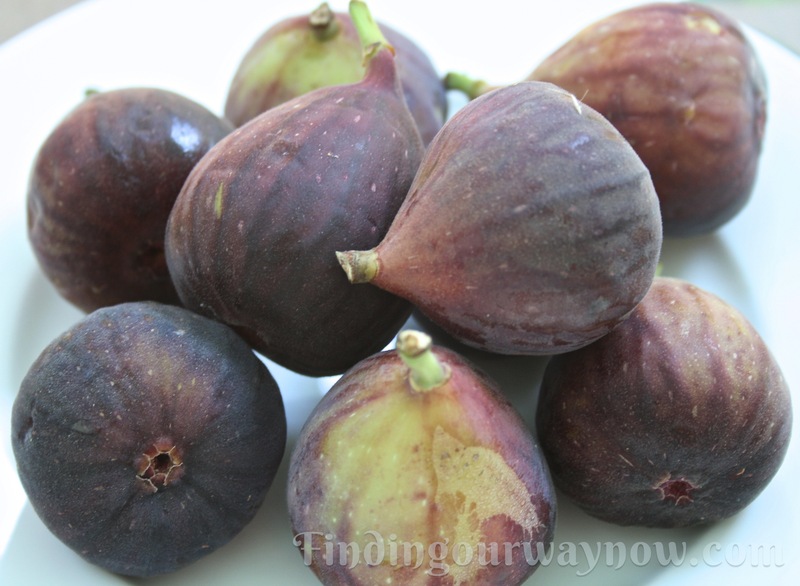 Notes: Make sure the figs are ripe. The best way to know is to eat one. If you can’t find Honey goat cheese, mix a tablespoon of honey (or to your taste) into about five ounces of goat cheese until it well blended. How easy is that? So why not give these Goat Cheese Stuffed Figs a try and wow a few friends. 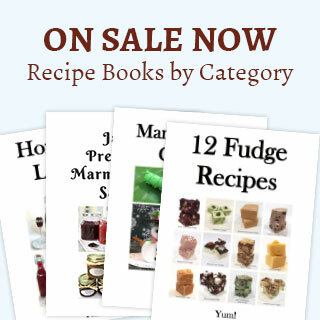 If you enjoyed my “Goat Cheese Stuffed Figs,” check out my Fresh Figs & Honey Dessert, Drunken Figs, or my Fresh Fig Jam. Enjoy.